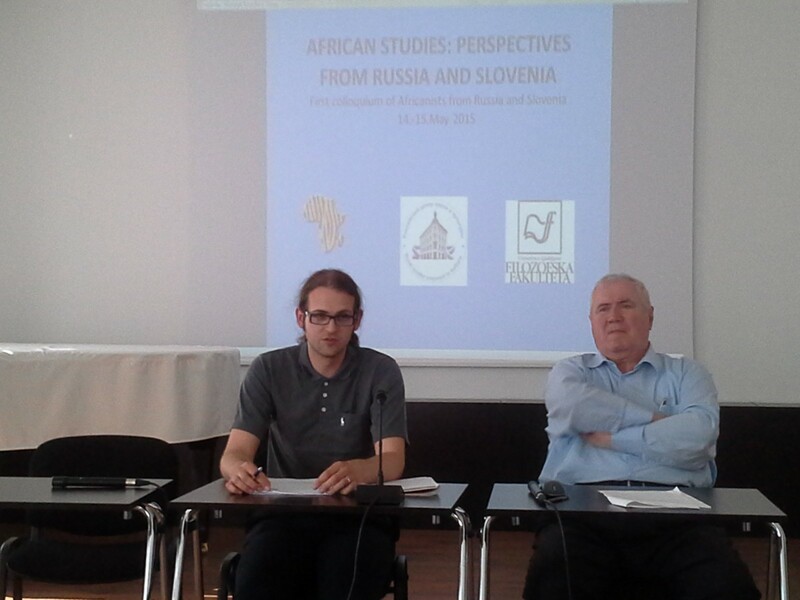 14-15 May 2015 The first scientific colloquium "African Studies: Perspectives from Russia and Slovenia"
The first scientific colloquium "African Studies: Perspectives from Russia and Slovenia"
The first scientific colloquium "African Studies: Perspectives from Russia and Slovenia" was held on 14-15 May 2015 at the Russian Centre of Science and Culture in Ljubljana (Slovenia). 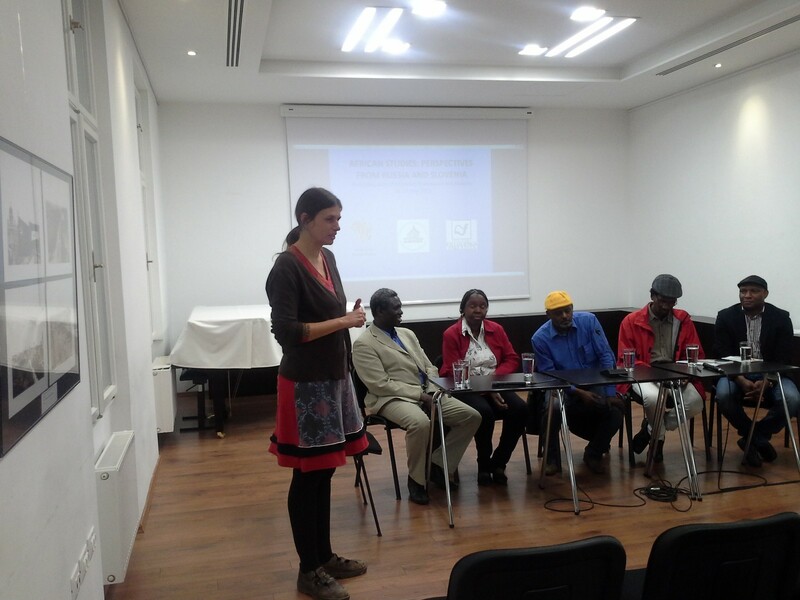 The event was organized jointly by the Institute for African Studies of the Russian Academy of Sciences, by the Department of Ethnology and Cultural Anthropology, Faculty of Arts, University of Ljubljana, and the Russian Center of Science and Culture in Slovenia. Director of the Centre, Mr. Rifat Pateev, greeted the Russian and Slovenian Africanists, expressing the hope that this meeting will be the first in a series of joint scientific projects of Russian and Slovenian specialists. Professor Rajko Muršič (Department of Ethnology and Cultural Anthropology, Faculty of Arts, University of Ljubljana) also welcomed the participants of the event. He noted that the African ethnography in Slovenia has been studied since the 1940s, and since then the interest in the study of Africa in the Slovenian scientific community is preserved and growing. 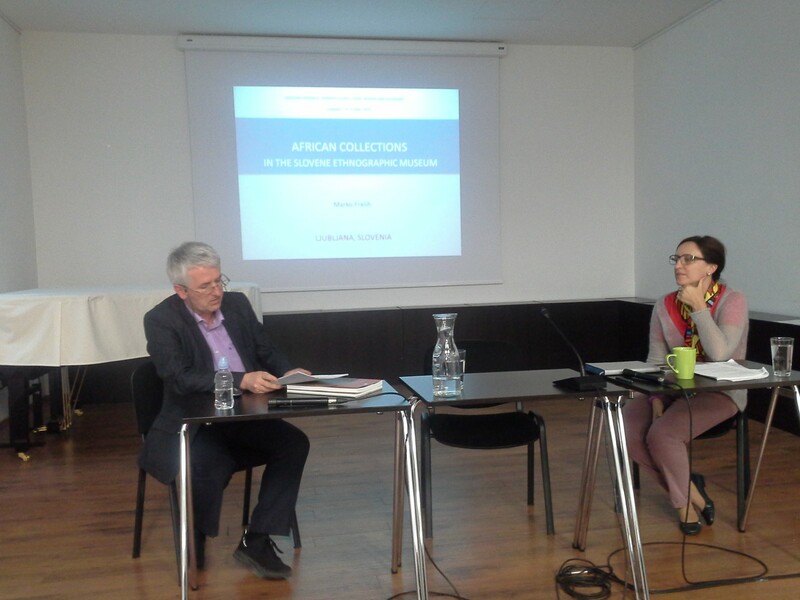 Prof. Muršič mentioned with warmth that the idea of organizing the first joint colloquium was born in discussions that the Slovenian Africanists had previously with Prof. Dmitry Bondarenko, Deputy Director of the Institute for African Studies. 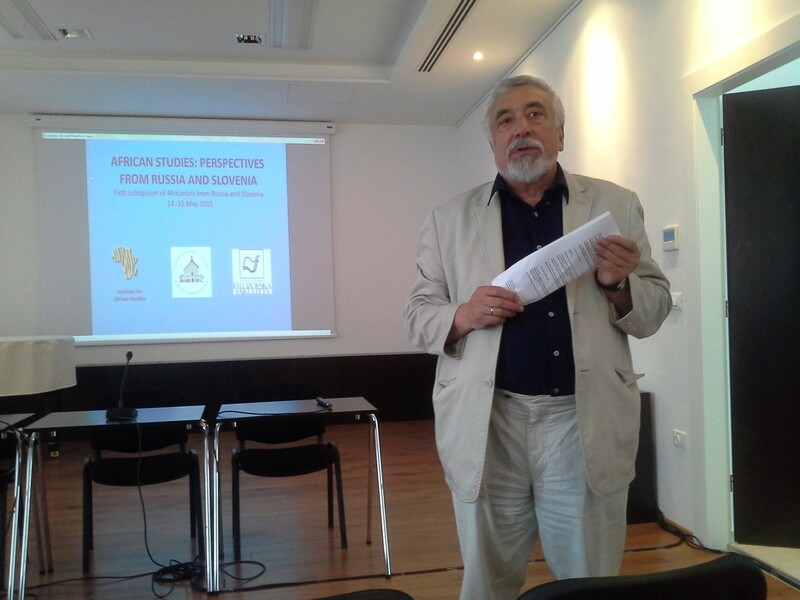 Then, Professor Vladimir Shubin, the Chief Research Fellow at the Institute for African Studies, greeted the guests and outlined the directions of African Studies in Russia in the past and present, told about the scientific institutions of Russia engaged in the study of Africa. Assist. Prof. Sarah Lunaček (Department of Ethnology and Cultural Anthropology, Faculty of Arts, University of Ljubljana), one of the main organizers and inspirers of the colloquium, gave details about the history of the Slovenian-African relations, about the African studies in Slovenia today and expressed the hope that Russian and Slovenian Africanists would continue cooperation in various forms (e.g. collaborative publication, new academic meetings). ˃ Dr. Nikolai Jeffs, Faculty of Humanities, University of Primorska. Qualified Emancipations: Ethnicity and Anarchocommunist Narratives on the Nigerian-Biafran war. ˃ Professor Vladimir Shubin, Institute for African Studies, Russian Academy of Sciences. Southern Africa: Liberation and After. Views from Russia. > Dr. Olga Kulkova, Institute for African Studies, Russian Academy of Sciences. Russian Views on EU – Africa Relations. (Dr. Kulkova was also one of the co-organizers of the event). > Dr. Blaž Vrečko Ilc, Faculty of Social Sciences, University of Ljubljana. The representations of Africans and Africa in (western) liberal political thought. > Dr. Veronica Usacheva, Institute for African Studies, Russian Academy of Sciences. 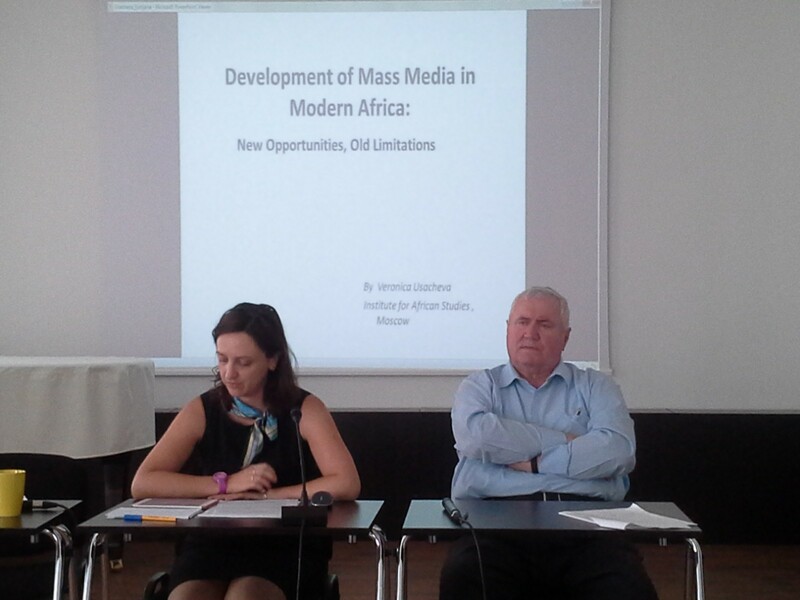 Development of Mass Media in Modern Africa: New Opportunities, Old Limitations. Approaches of Development Projects as Experienced by Tuareg in Northern Niger. > Maja Ladić, The Peace Institute. Gender Equality in Rwanda - in Theory and Practice. > Dr. Nataša Hrastnik, University of Nova Gorica. Literary Explorations of Islam and Gender in Fiction by Leila Abouleila. > Professor Eleonora Lvova, The Institute of Asian and African Studies, Moscow State University named after M.V. Lomonosov (presentation reading in author’s absence). Indians in Ethiopia and Tanzania. > Adam Rudder, University of Ljubljana (presentation reading in author’s absence). A Slovenian of African descent diasporic identity? > Dr. Marko Frelih, Slovene Ethnographic Museum. African Collection in the Slovene Ethnographic Museum. 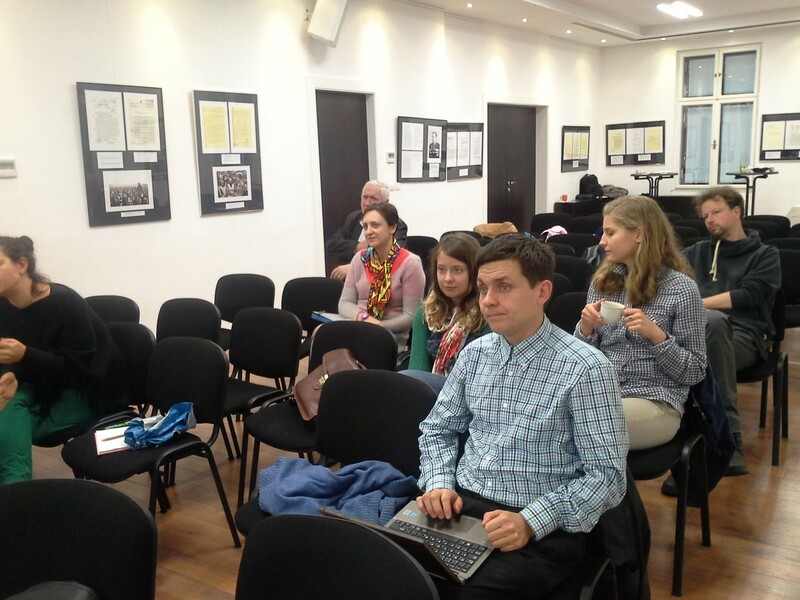 During the colloquium, participants watched with great interest the documentary film “Eyes and Ears of God. Video Surveillance of Sudan”, shot by the Slovenian activist Tomo Križnar. 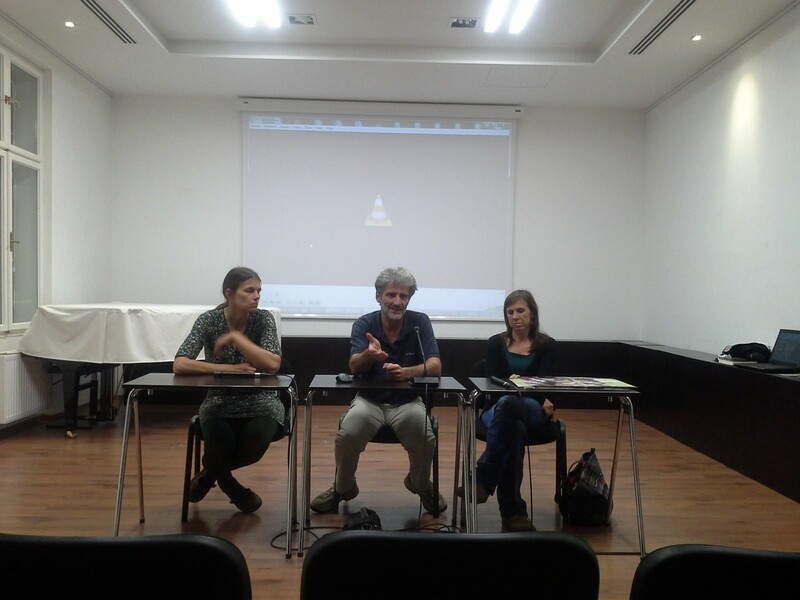 The audience participated in the discussion of the film with the director himself and with Bojana Pivk, sharing information from their last visit in Sudan. 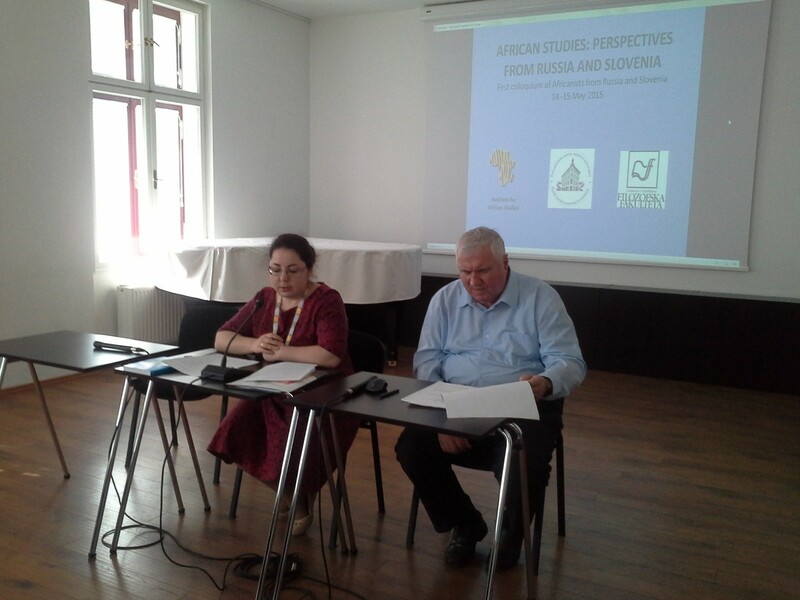 Russian researchers also appreciated the opportunity to meet the representatives of the African community in the framework of the round table: "Africans in Slovenia", moderated by Ms. Sarah Lunaček. Its participants were Ibrahim Nouhoum (African Forum), Max Zimani (Institute Global), Fred Uduma, (Association of Nigerians in Slovenia), Eyachaw Tafera (Institut for African Studies), Dado Kebe Nouhoum. The Colloquium was a great success, allowing the Russian and Slovene Africanists to be acquainted with the works of each other, to establish academic and friendly contacts. All the participants expressed their sincere gratitude to the Director of the Russian Center of Science and Culture Mr. Pateev, who provided an invaluable assistance in carrying out such an important scientific event.